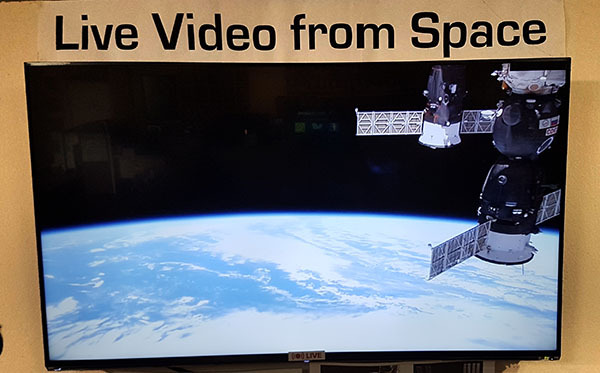 At the space centre we have a variety of live video, image and data feeds coming from various organizations around the world and in space. These feeds obviously change over time, and the feeds we can access change. Occasionally a certain mission will end so that's the end of our live feed. We're constantly on the lookout for new and interesting live feeds so please let us know if there's anything you think we could be using in our displays. This is one of our most popular live feed displays. It's actually four different feeds: Two live video streams, a map showing the current position of the ISS and a prediction of upcoming visible passes of the ISS over New Zealand. 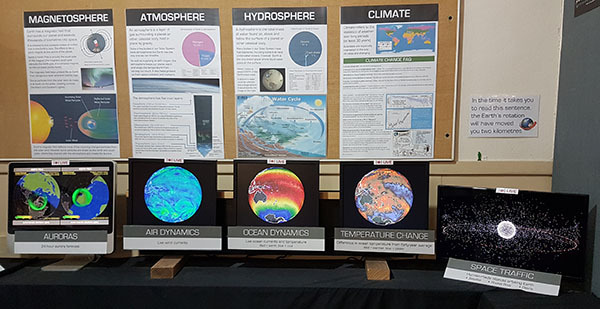 These monitors include aurora forecasts, live ocean and air current monitors, and a space junk tracker. These monitors show what's happening on the Sun and how much solar wind and radiation is heading towards Earth. 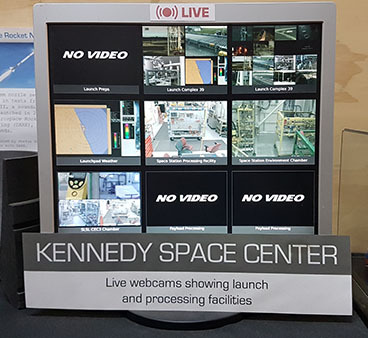 This monitor shows nine different webcam feeds from around Kennedy Space Center in Florida. The DSN is a network of radio antennae used by NASA to communicate with robotic spacecraft throughout the Solar System. 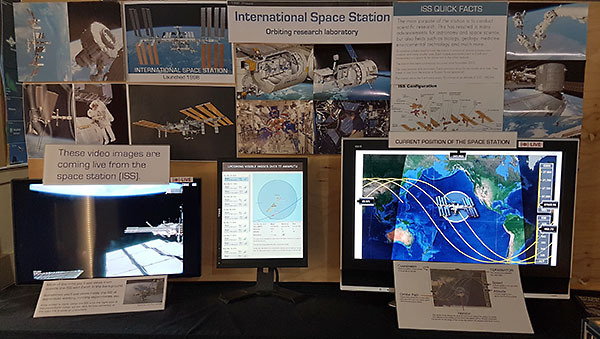 This display shows which spacecraft NASA is currently communicating with and receiving data from.